The medical device manufacturer Stryker announced a voluntary recall of both the ABG II and Rejuvenate hip implants due to potential risks involved with the device’s modular neck-stems. The company says that the device’s stems are at risk of corrosion or fretting, which could manifest as adverse tissue reaction involving intense swelling and/or pain. Today, thousands of patients have had the device implanted and are now requiring treatment to reduce debilitating symptoms. Some patients have experienced a significant reaction to the device and need revision surgery for a secondary hip replacement. Unfortunately, developing a femur fracture in surgery can happen accidentally during the removal of the existing device, or is the only alternative if the surgeon needs to break the bone to unlock it from its position. Stryker developed its hip implants with a modular-neck system to provide the patient with the potential of increased activity and mobility. The company believed the longevity of their patented metal would last 10 to 20 years. In an effort to make the product available as quickly as possible, Stryker rushed it to market without any extensive testing. As a result, thousands of patients developed serious side effects and symptoms associated with the device. In 2011, the hip implant was recalled because of the high percentage of metal corrosion and/or fretting within its joint (get more information about the recall here). The disintegration of the metal components creates toxic particles of cobalt and chromium. The metallic toxins seep into the neighboring tissue, causing an array of serious and life-threatening symptoms including intense pain, significant tissue damage, inflammation, bone loss, tumors, and metal poisoning. Deep Vein Thrombosis – Thrombophlebitis, or deep vein thrombosis, can occur when large blood clots form in major veins in the leg. If clots break away and travel throughout the body, it could result in a life-threatening embolism, especially if it becomes lodged in the heart or a lung. Mitosis Ossification – The patient undergoing Stryker revision surgery is at risk of developing this serious condition, which causes extreme pain and prohibits movement. Mitosis ossification is the result of growing bone tissue encapsulating the hip joint. Some doctors advise that their patients be treated with radiation therapy, which might prevent the condition and inhibit bone growth from occurring. However, it is essential that radiation sessions start immediately once the revision surgery is over. 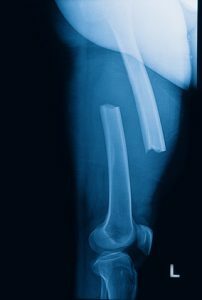 The amount of time it takes to recover from secondary joint replacement is far longer than the initial surgery. As a result, patients have a higher potential of deep vein thrombosis. This is because the patient is often inactive substantially longer during a second surgery to allow adequate healing time from this highly invasive replacement procedure. Patients who decline a hip revision surgery often suffer significant health consequences because of the further exacerbated problems. This is because tissue and bone might weaken, and eventually become destroyed making any revision hip surgery in the future more challenging if not impossible. If the area around the hip replacement is infected, without revision surgery, the leg might need to be amputated due to a major infection. In addition, the infection has the potential of spreading from the tissue and bone surrounding the hip replacement into the bloodstream, with the potential of resulting in death. In fact, many patients with the defective Stryker implant are experiencing no symptoms at all. Unfortunately, many patients first realize that there was an issue with the device only after receiving a recall letter or told by their doctor. Many patients have long experienced pain and discomfort from the hip replacement device, even when their physician told them it appeared normal. However, testing indicates that a high number of patients have elevated cobalt levels in their bloodstream and tissue caused by the disintegrating metal device. It is essential to speak with the attending physician to evaluate the need for an immediate revision surgery. Quick action could prevent further harm. The doctor can determine the risks involved in choosing to replace or not replace the device. Patients who have received a Stryker hip implant should seek legal counsel to protect their legal rights and seek recovery of all damages). This is important because many victims requiring hip replacement revision surgery are permanently disfigured and/or experience an extensive painful recovery. Often times, a successful revision surgery will decrease the patient’s quality of life. A skilled attorney that specializes in hip replacement lawsuits can help achieve full financial compensation for the injury Stryker has caused.